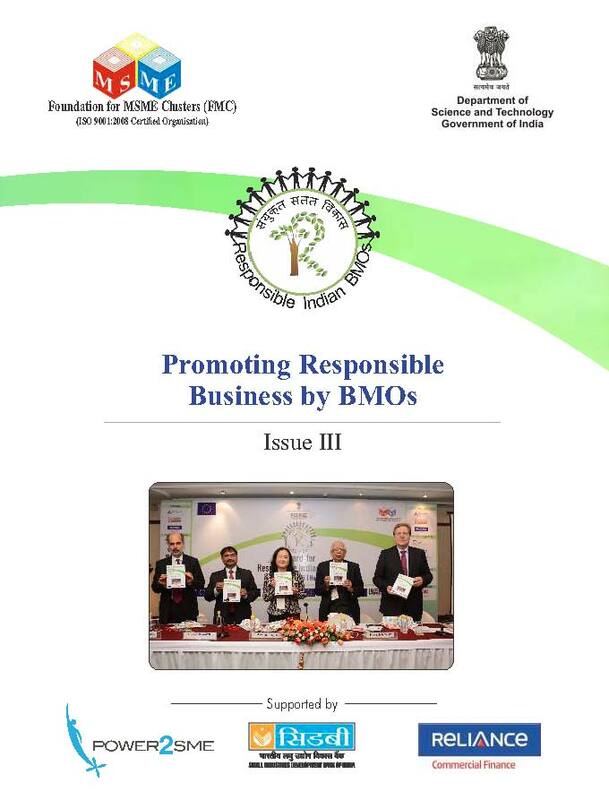 Issues related to responsible growth have also emerged as an area of critical importance and has got national importance with the announcement of Zero Effect Zero Defect (ZED) growth path and equally impor- tantly with the resolve of the global community in the form of Sustainable Development Goals (SDGs) and in particular SDG 8 (promoting decent work) and SDG 12 (promoting responsible consumption and production). However, it is but natural that given the enormous pressure of handling various aspects of business, almost always, sustainability challenges appear as a cost which is in need of further time and resources commitment. It is here, that conglomeration of MSMEs and entrepreneurs, which are historically the most trusted ally of the MSMEs, can play a significant role by demonstrating the scope of sustainable development and even working out means through which MSMEs can attain sustainability. 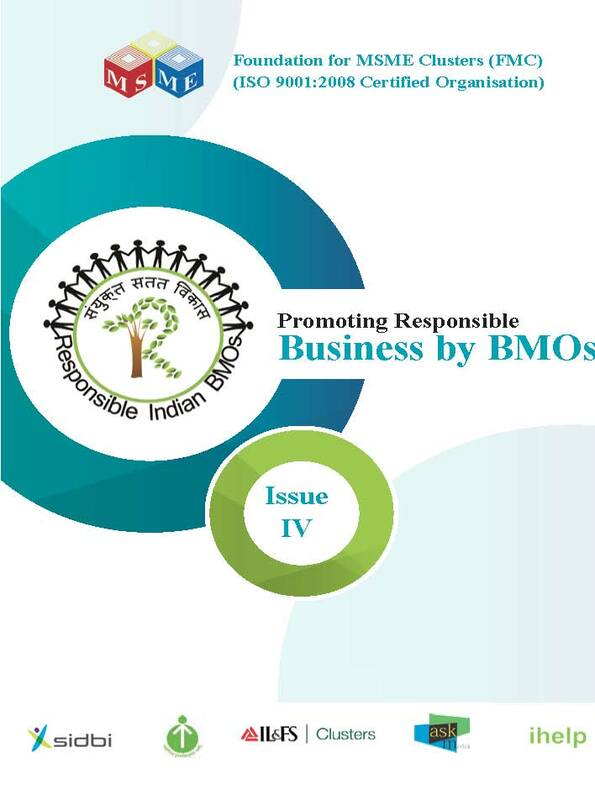 Such conglomerations are also known as Business Membership Organizations (BMOs). 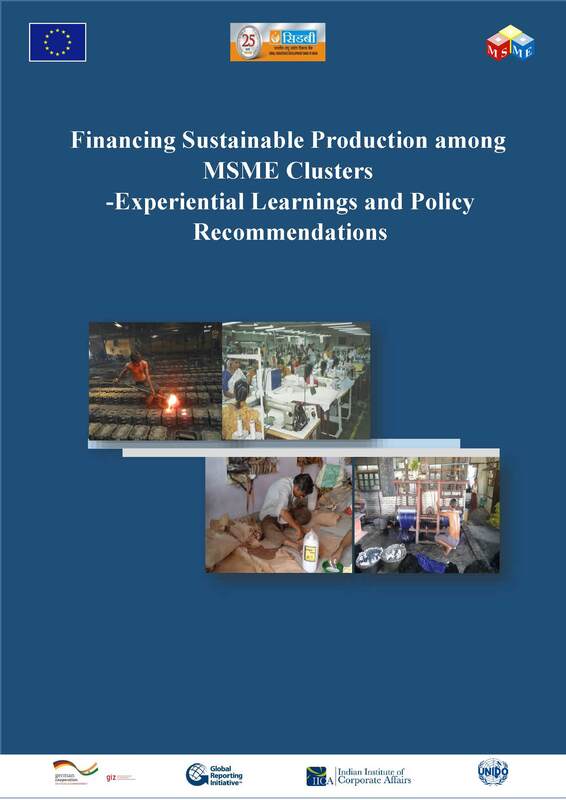 The existence of Indian MSMEs is deep rooted in clusters. It is estimated that 70 per cent of the manufacturing enterprises exist in clusters. Clusters of MSMEs are present all over the country.Evolution of these clusters has helped to reap the benefits of mutual co-existence. The member entities support each other in growing together and faster. However, the growth has not been as high as compared to their potential. The reasons for this under performance are many and are often related to lack of ”targeted joint action” and “promotion of passive cooperation” among the enterprises to address issues related to finance, infrastructure, technology, human resources, market, raw material, etc. The Micro, Small and Medium Enterprises (MSME) sector plays worldwide an important and significant catalytic role for economic development through enterprise creation and employment generation. 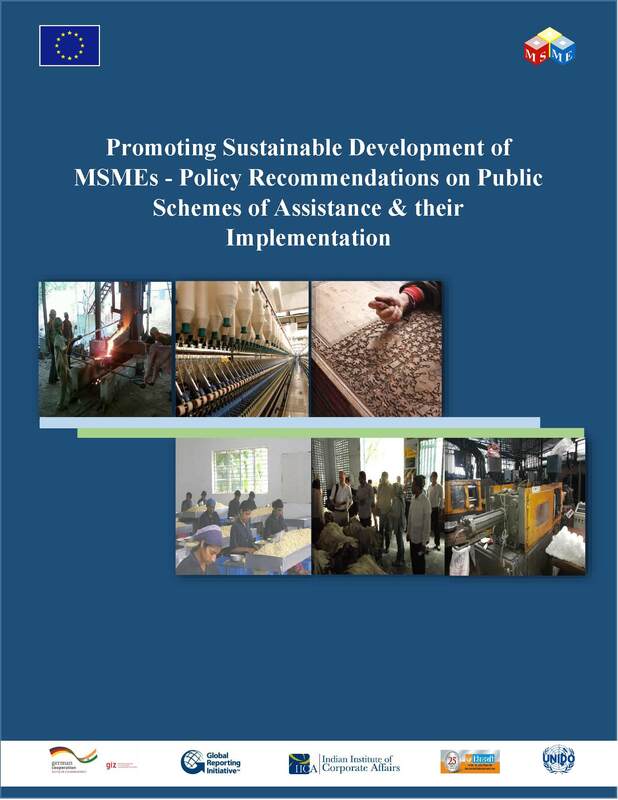 The MSME sector in India covers a wide spectrum of economic activities. With more than 44.7 million enterprises, this sector generates more than 100 million jobs, next only to agriculture sector. It also contributes around 45 percent of total industrial manufacturing and 43 percent of India’s total exports. The sector manufactures over 6000 products, ranging from the traditional to hi-tech items, in addition to providing a wide range of services. With the changing scenario, the sector needs to constantly move up in the value chain as well as strengthen its competitiveness in local as well as global markets. Sustainability has already taken centre stage of development globally and Govt. of India has made several commitments at national and international platforms. Make in India with Zero Defect & Zero Effect initiatives of the Government express the zeal to balance economic growth with sustainability and social inclusion. All the sectors of economy viz. agriculture, manufacturing and services will need to contribute in this collective endeavour of nation building. With a renewed thrust on making manufacturing significant part of sustainable economic growth, consumption of resources including fossil fuels and primary materials besides social standards assume far more significance than before.